Yesterday, we brought to you one among the most amazing collection of themes for Ubuntu through our 7 brilliant GTK themes for Ubuntu/GNOME post. 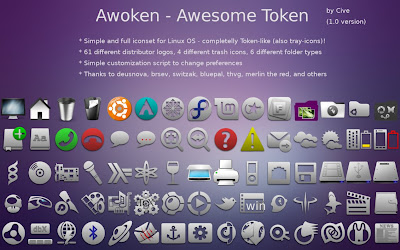 Now it's time for some really cool icon sets for your Ubuntu/GNOME. Read on. Faenza is definitely the most favored and popular third party icon set for Ubuntu. And Faenza icon theme is at its best when used along with Equinox theme. Read installation instructions for Equinox + Faenza theme combination. 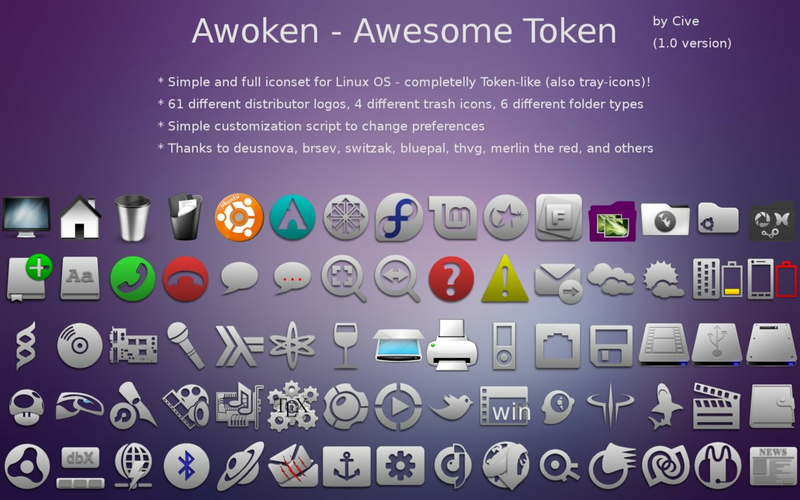 Awoken icon theme is yet another brilliant icon theme for Ubuntu/Gnome with support for almost all popular applications in Ubuntu. Download Awoken. 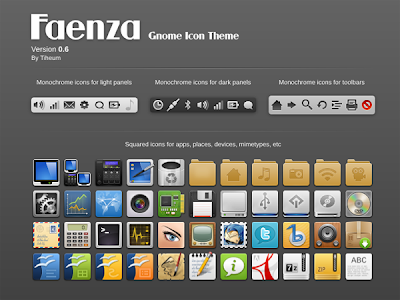 You might also want to try out Elegant GNOME theme pack which uses a modified Awoken icon theme. Elementary project is one of the most talked about and actively developed open source project meant to provide much needed finesse to Linux desktop. Download Elementary Icon Theme. Also, check out beautiful Elementary theme for Ubuntu as well. If you like Faenza icon theme, you will love this modified Faenza theme. 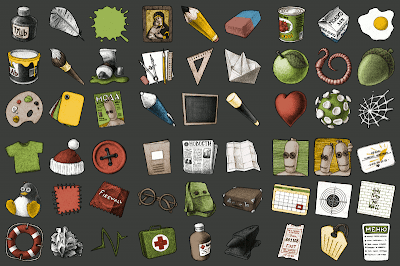 Faenza Variants basically consists a bunch of new icons or variants as the author likes to call it. 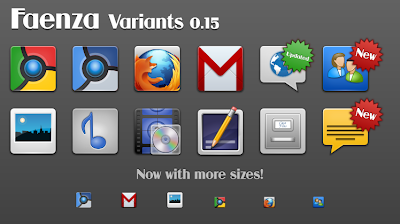 I especially liked the modified Google Chrome and Firefox icons. Download Faenza Variants. The Last Amazing Grays icon theme feature two different flavours, the dark one and the light one, as you can see in the above preview. Download The Last Amazing Grays Iconset. If you have used Ubuntu Satanic Edition ever before, you should be aware of Buuf icon theme already. Its a truly unique icon theme and worth a try. Download Buuf Icon theme. Before getting exited, let me tell you, this icon theme is still a work in progress. But from the looks of it, this particular icon theme is truly promising. 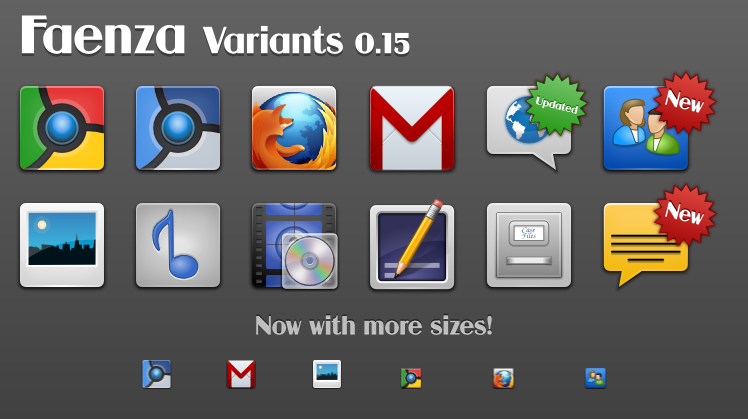 Ubo Icons Theme is released. Yet another breathtaking icon theme. It include the standard blue version(which is my favorite), another red alternative and an orange version also. 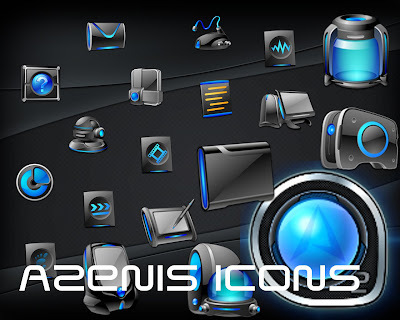 Download Azenis Icon Theme. Gmetalik05 is a pretty old theme, but still packs the punch. It is quite well designed and all those who like a little bit of bling will love this theme. 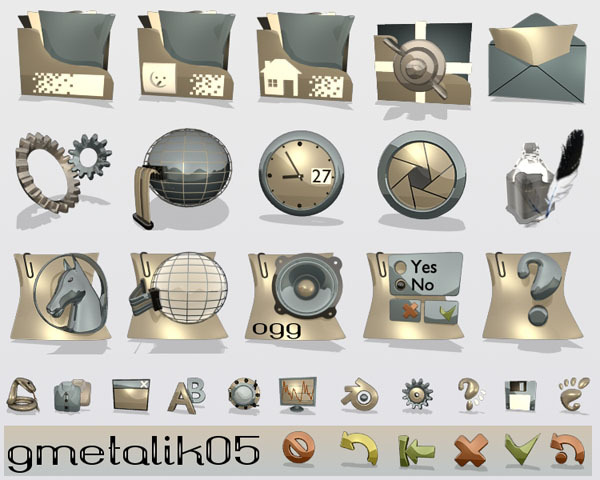 Download gmetalik05 Icon Theme. Fast Forward Gnome Icon set is another beautiful icon theme for Ubuntu/Gnome. This icon theme features a customization script also to change the folder colors and also a new dock icons style, with token icons flavor. 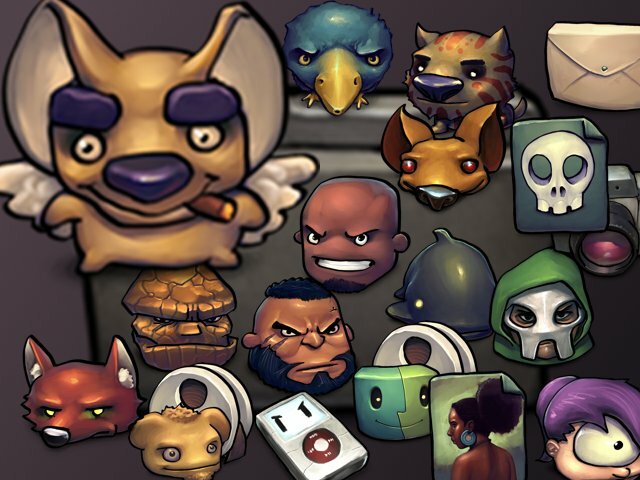 Download Fast Forward Gnome Icon theme.